It’s our belief that children learn better with music they love. At PopRoX, Woking we utilise a song-lead teaching methodology whereby the children are taught how to play their instruments while learning a contemporary song. We cater for beginners upwards tailoring the lessons to suit the learning ability of the student. The songs are broken down to provide for differing abilities so every child learns at their own pace and has something they can then play when performing on stage during the Band Workshops. We introduce 2 to 3 songs per term and finish with a Performance Showcase at the end of term where the children get to show off their new talents performing in a real life gig situation to their friends and family. We find the children are more engaged and are wanting to learn more and are keen to practice during the week. Come on down and try us out. 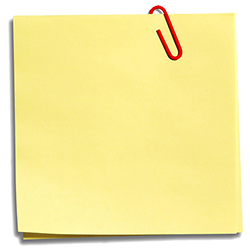 Your first workshop is FREE. We accept enrolments throughout the term up to week 7 as there will still be an opportunity to learn and perform our last song of the term. Taster Session: Your 1st Workshop is FREE. Come along and try us out and find out what it’s all about. Same great format as PopRoX Junior except .. The 1st hour is tuition in their selected discipline with the 2nd hour dedicated to Band Performance. We generally have a 10-15 min break between sessions in our chill out room where the children get to socialise with each other and the tutors while having a drink or snack. We recommend you bring a snack and drink with you each week. We run two age-grouped streams to ensure the children feel more comfortable interacting within their peer groups. 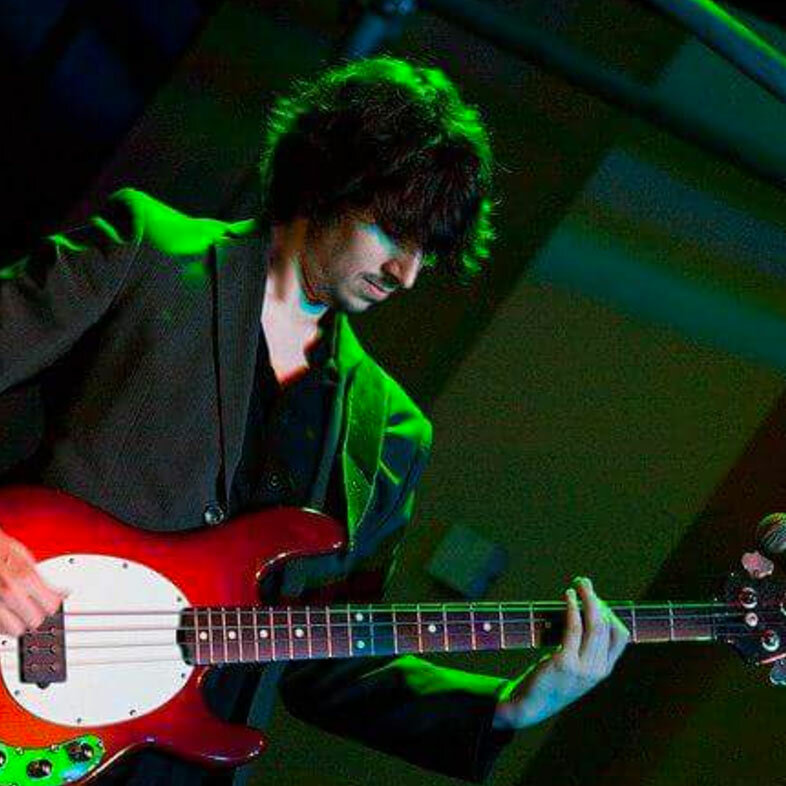 Dan is a multi-instrumentalist, playing saxophone, piano, double bass but specialises in the electric bass guitar. Playing music since the age of 10, he is a graduate of the Academy of Contemporary Music, where he worked with a number of talented up and coming artists. 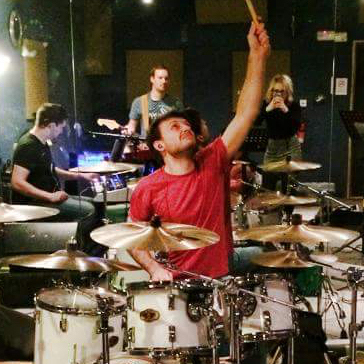 When not teaching, Dan works as a pit musician in both schools and London musicals. He has performed with the award winning Steel Pier, as well as the critically acclaimed Bare. Pete has been drumming for over 12 years. Studied drums and gained a degree at ACM in music performance. However he didn’t stop there and decided to get another one in Music Production. Pete has been in many bands, playing in and also running several function bands from soul, motown and funk to cheesy 80s tribute bands. He has played at (too many) pubs, parties, weddings and some small festivals including Guildfest. He enjoys the challenges of teaching and gets his super powers from plants .. viva the vegan revolution! Everyone at PopRoX is mad about music! We truly believe that music is the very fabric of our lives and can’t wait for each Saturday to come around so we can help young people experience music in a fun and engaging way. Each week we focus on helping students get the very best from their session. Everyone gets to play live right from the first week of learning. We believe that playing live each week makes music make sense. PopRox Junior is aimed at young people aged 7 – 12. The sessions are designed to make music accessible but also challenging. Students learn between 2-3 songs per 10 week term and are taught music theory as well as practical playing skills. 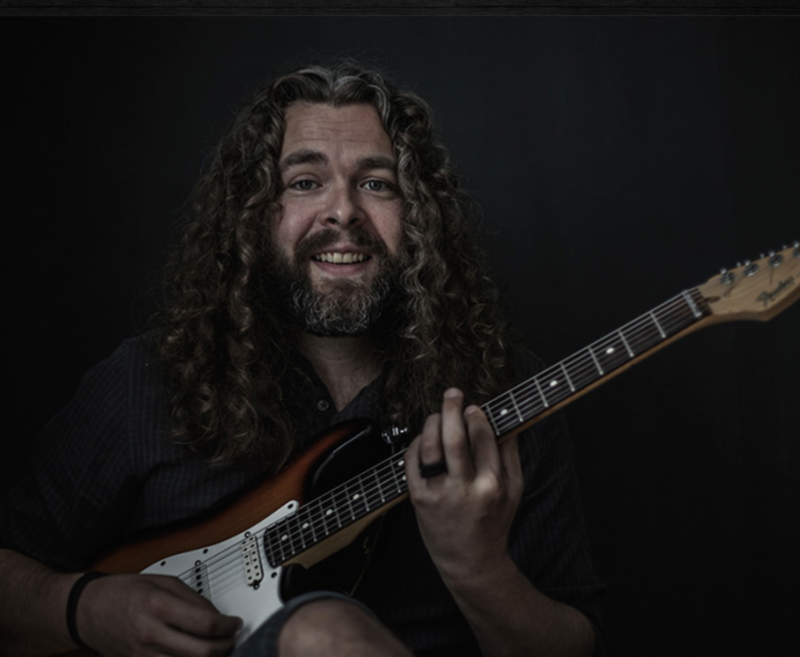 The repertoire is a combination of current rock and pop chart hits as well as classic tracks that represent all the key genres such as blues and funk. At the end of the ten week term, each student plays in an end of term concert for friends and family. PopRoX High is the High School of PopRoX! It is aimed at 12 and upwards who have either come through the PopRoX Junior programme or just have a passion for rock and pop music and are keen to learn to the next level. Sessions are more challenging than PopRoX Junior and the song arrangements more complex. Complete beginners are catered for as well as more advanced players. Whatever your level, PopRoX High is a great way to learn music you love, play live each week, meet great people, form bands and just enjoy making cool music. Where better to teach Rock and Pop than a real life Recording and Rehearsal studio!! An ideal base for PopRoX, providing the perfect environment for a Rock & Pop Workshop. Each discipline has its own dedicated room and the children can experience a real live band performance in the large live room adjacent to the recording studio for a full Band experience. Abigail, aged 10, has been studying vocals with Neal and his team for the past two years. She was hooked from her first class. It’s taken eighteen months to persuade her older brother Charlie to give guitar lessons a try but I can honestly say that this is the first activity that I have enrolled him that he genuinely looks forward to attending each week. There is a friendly group of children and a team of tutors that make the children feel welcome, comfortable and at ease whatever of their initial ability. It’s social, develops friendships out of their usual circle of school friends, builds confidence, they learn a skill … and it gets them away from the xbox on a Saturday morning. I would thoroughly recommend you giving it a try. Harry loves the workshops. He is excited by the new tricks he is taught such as riffs and power chords. He plays music all the time at home and really likes all the tutors he has had at the workshops. We feel that Harry has completely got the music bug thanks to the workshops. He was making music from day 1, the atmosphere is perfect for this age group, the tutors are fun and relaxed as well as being kind and nurturing and everyone is laid back and flexible so that Harry has been able to try out bass this term as well as keeping up his guitar lessons. He now loves performing thanks to the opportunities he has had to get up on stage. We are full of praise for PopRox – as you know! My son Edward Fisher, joined the junior section a few years back to learn to play the bass guitar. 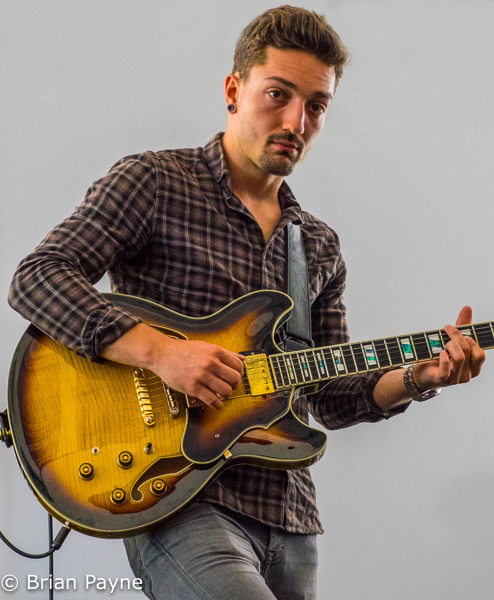 With the help and encouragement of the professional teaching staff at PopRox, he progressed rapidly and now plays in a young rock band at regular gigs. All the members of this group - SourKix, developed their playing skills from the enthusiastic teaching at PopRoX. PopRoX Rock and Pop Workshops is very proud to be in partnership with Woking’s premier rehearsal and recording facilities, WaterRats Music Studios. Join us on Facebook and keep up with all the latest performances, rehearsals and notifications.